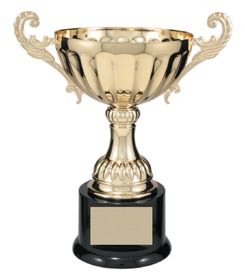 Recognize excellence with economy championship cups from us! Economy cups are great awards for teams. They give the same look and elegance as a championship cup without the strain on your purse strings. Call or email us today for information on your ideal economy championship cup! Low cost championship,team,tournament or individual trophy cups!